Turn lunch time into fun! Part of a lunch boxes line, including a bottle and two other boxes to carry snacks and sweets, it will be the envy of all your friends. 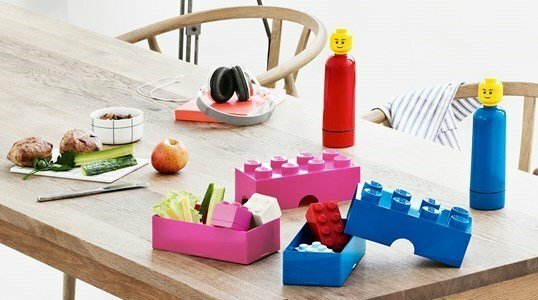 The LEGO Lunchbox, was designed as a giant LEGO piece and presents itself in different colors to appeal to the imagination of both boys and girls. Not only for children but also for the many LEGO lovers of all ages, all over the world. The perfect match, an incredible set and a recipe that lets anyone's mouth water.